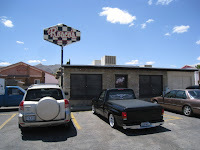 Another classic burger place opened up just about a mile from Roscoe's on the corner of Piedras and Memphis...it's called Papa Burgers, and in my opinion it's better than Roscoe's. yes the double cheese burgers RULE! but next time try the chili cheese fries with your burger!! you taste every ingredient!! they are like no other chili cheese fries you have ever tasted! Don't even waste oyur money at that popo burger or whatever it is called. 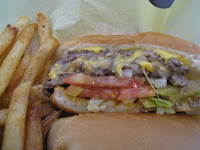 Been there, and they are nothing more than a lousy half attempt at a Rosco Burger. I heard that places try to copy Rosco's all the time. I'm sure Rosco's has the legal representation to slap anyone, if there are any cases for infringement.